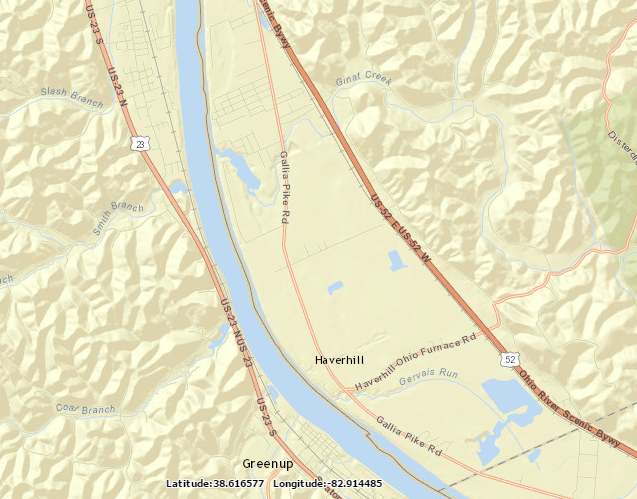 This 802-acre site is located on the Ohio River near the southeastern border of Scioto County with convenient access to US-52. 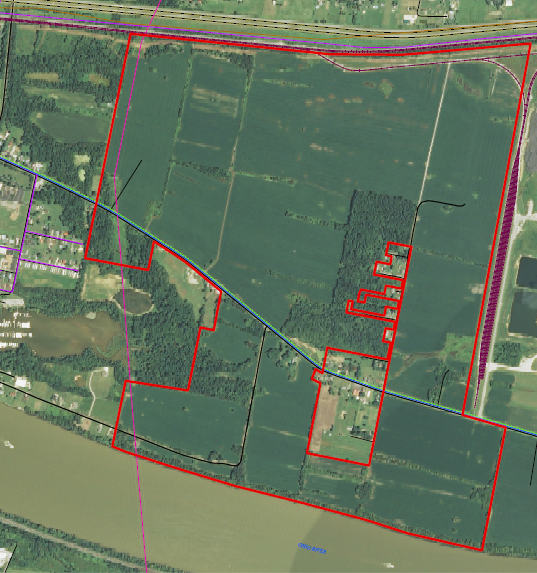 This property has an existing rail spur and capability for on-site river access. The topography of this site is generally flat, and its current use is agricultural. The topography of this site is generally flat. 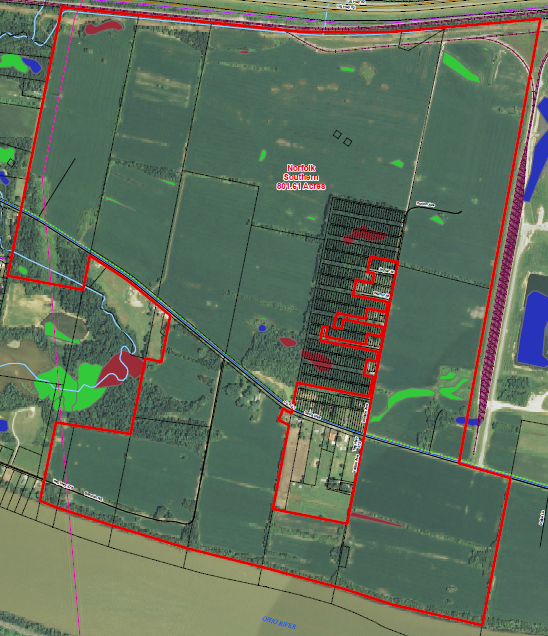 143 of the site’s 802 acres are located within the floodplain. Parking lots and laydown areas are acceptable within the floodplain, but mechanical and electrical equipment should be placed outside of the floodplain. 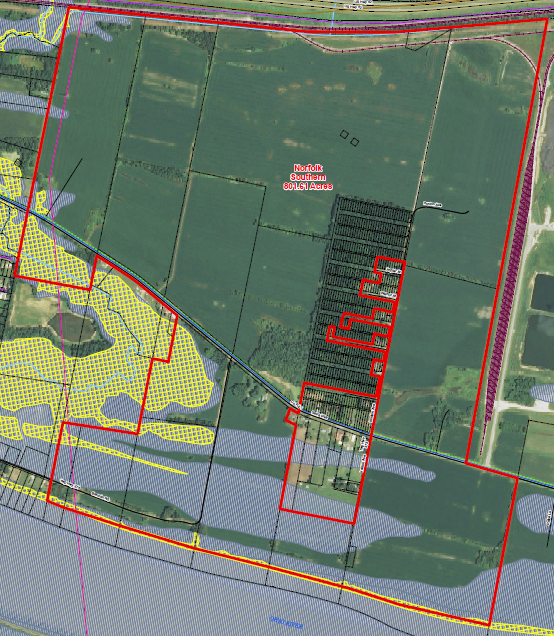 The Approximate 10-year Floodplain is indicated on the attached map with yellow gridlines, and the FEMA 100-year Floodplain is indicated with grey stripes. 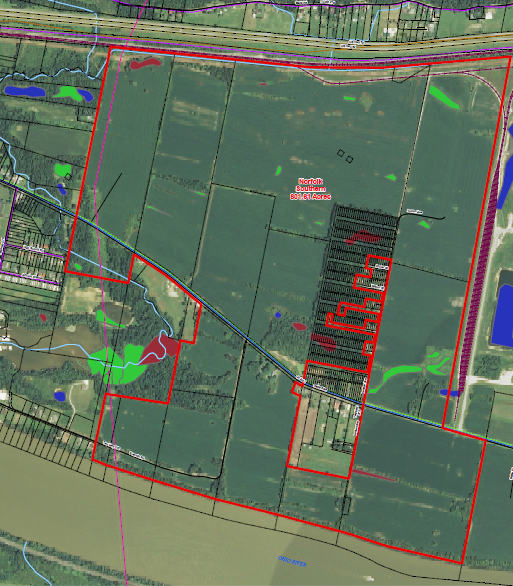 See map for water surfaces at the site. If any known water surfaces are present, they are depicted as follows: Freshwater Emergent Wetlands are noted in green; Freshwater Forested/Shrub Wetlands are noted in maroon, and Freshwater Ponds are noted in dark blue. 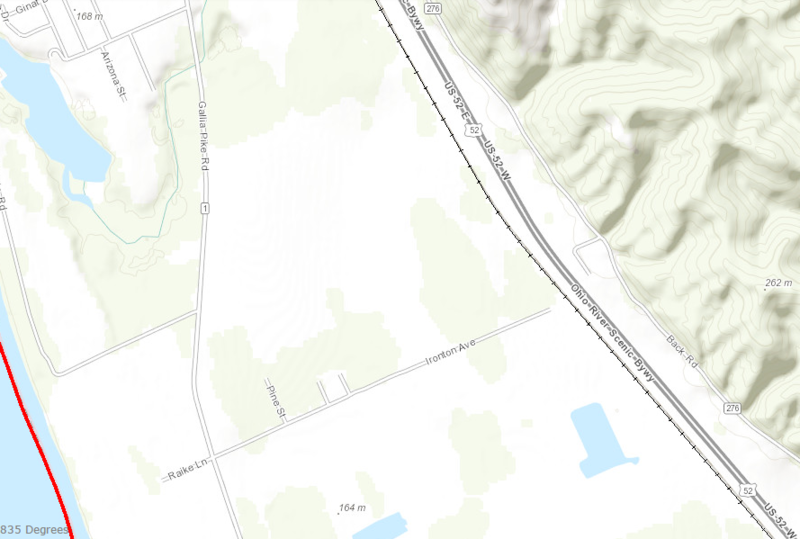 Current access to four-lane highway US-52 is approximately 1.5 miles from the site via County Road 1. 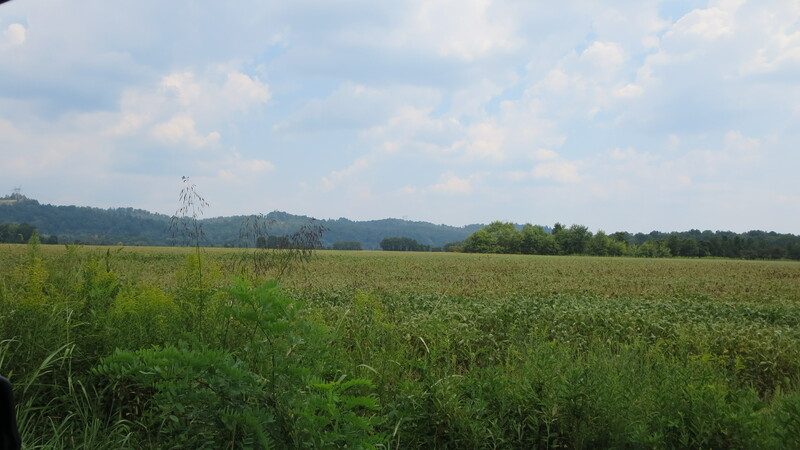 The site is located 28 miles from Interstate 64 and 82 miles from Interstates 77 and 79. 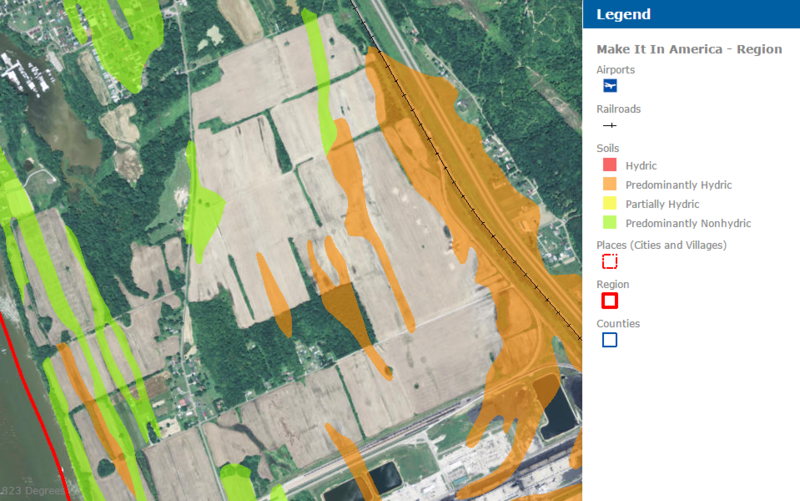 The Norfolk-Southern rail line runs through the site and a rail spur is present. Currently there are no river ports at this site. 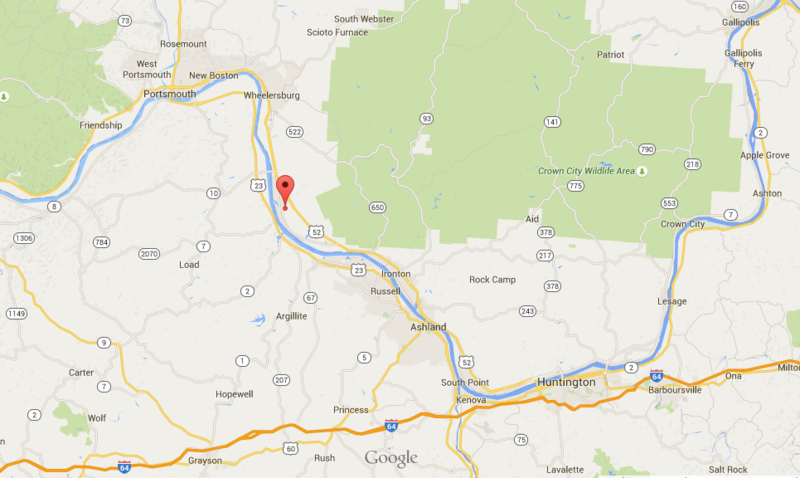 The site is located between Ohio River Miles 336-337. This site is located 14 miles from Ashland Regional airport, 21 miles from the Greater Portsmouth Regional Airport, 25 miles from the Huntington Tri-State Airport, 82 miles from the Charleston Yeager Airport, 118 miles from the Port Columbus Airport, 127 miles from the Cincinnati Airport, and 133 miles from the Lexington Blue Grass Airport. Columbia Gas and Kinder Morgan have transmission mains in the vicinity. American Electric Power has a 69 kV line along US Route 52 adjacent to the northern border of the site, and a 765 kV line passes through the site. City of Portsmouth Water Works has an existing 12-inch distribution main with 250,000 gpd capacity running adjacent to the site. Engineering plan for sewer build-out has been prepared and is available for review. Frontier Communications is able to provide up to 10 gigabits per second (Gbps).